The world capital of Jiu-Jitsu, Abu Dhabi, saw six days of unbeatable action at the spectacular seventh edition of the ever-growing Championship. 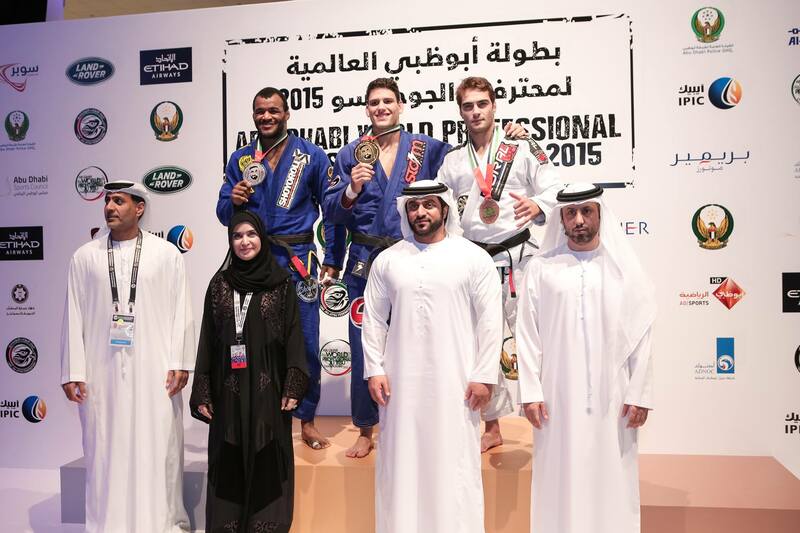 Held at IPIC Arena, the Abu Dhabi World Professional Jiu-Jitsu Championship 2015 proved a categorical success with packed grandstands, podiums and some of the finest examples of on-mat competition seen anywhere in the world. The first day of adult competition saw more than 400 athletes in action representing 86 countries battling across black, brown and purple belts. One of the most prominent players from the 1000 that competed on the second day was Her Highness Sheikha Maitha Bint Mohamed Bin Rashed Al Maktoum taking the silver medal in her first participation in the Championship. Her Highness’ win further portrays her as a role model for all UAE women who aspire to embrace Jiu-Jitsu and represent their country in this national sport. Undoubtedly, Her Highness Shaikha Maitha, who is a former Olympian and a sports aficionado is an inspiration for the 147 UAE girls that won medals in this year’s Children’s Cup. The final day of the championship saw continuous action right until the very end with a no-holds-barred open weight competition of more than 350 players for all belts. The Championship was honoured by the presence of His Highness Sheikh Nahyan bin Zayed Al Nahyan, Chairman of Abu Dhabi Sports Council, His Excellency Sheikh Nahyan bin Mubarak Al Nahyan, Minister of Culture, Youth and Community Development, Sheikh Abdullah bin Mohammed bin Khalid Al Nahyan, Chairman of Al Ain Sports Club, and Sheikh Tariq bin Faisal Al Qassimi.